On sunday afternoon, Rebel Up Records & distro will be at the Camping Flamingo creators / 2nd hand market in Hal 5, Kessel-Lo (Leuven), just behind Leuven train station. Hal 5 is a special space for creators, foodtrucks, events and market days. 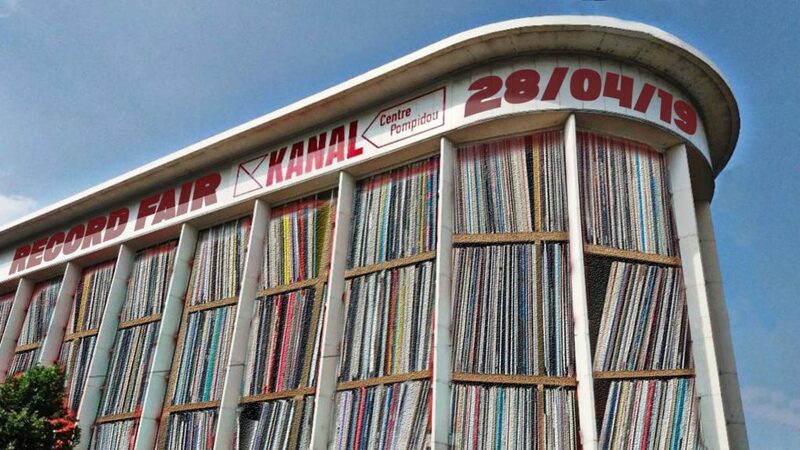 Radio Flamingo is the monthly creators & vinyl market. The market runs from 12-18h all afternoon, but already at 9am the Lentefeest day kicks off in & around Hal 5, with a brunch and activities for young & old. FREE IN! Also from 12 to 15h, Rebel Up & DJ Oerwout will play a live dj session in the market space for Radio Scorpio. All info here in FB event or website. Rebel Up Records was started just a few weeks ago and we got invited to be at the Independent Label Market, 1st Brussels edition in the WIELS art center and with a long list of respected international labels, just check! We will share the stand with our friends of the French Akuphone label and next to Discos Horoscopo (Peru), good fun! During the market, it’s not just vinyl selling, but also workhops, concerts and DJ sets. Every hour the DJ’s will switch. Rebel Up SebCat will spin a vinyl set from 12 to 13h on saturday. Also on sunday, Rebel Up SebCat will spin vinyls together with Discos Horoscopo at the Bar du Marché at Flagey square, Ixelles.